When arrange the exhibition, sometimes, place for the tent will be a problem. In such condition, double decker tent will be very helpful in your part. For some exhibition, a Cube structure double decker structure is very useful. 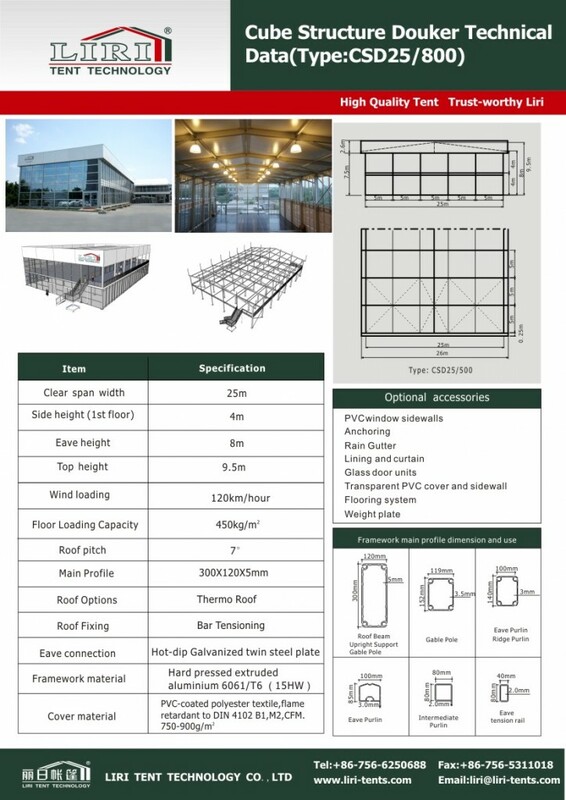 It is an upgrade of the Double Decker Structure with the inflatable roof. Compare to the normal A shape tent, the roof alteration brings the appearance of the tent to the next level. The parapet provides space for advertisements. The design can attract my attention during the event, exhibition and so on. 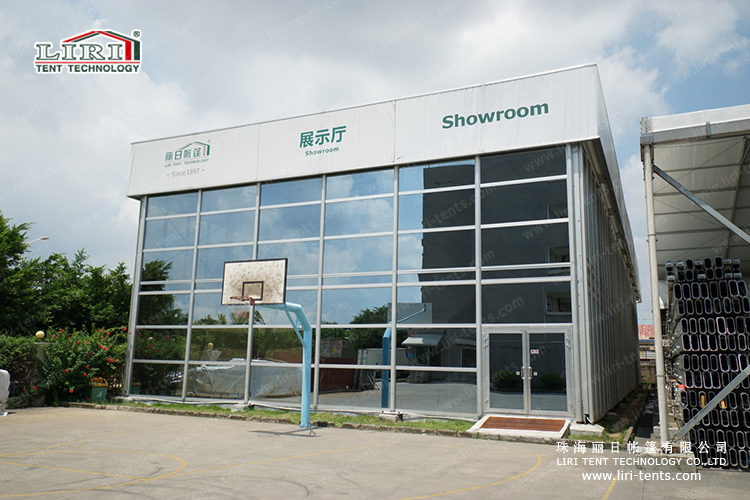 For the size of the Cube Structure Double Decker Tent, the clear span from 10m to 40m, and the main profile will be 300x120x5mm, with 8m eave height. It is strong enough to use in different area with different requirments. The wind loading will be more than 120 km/h.